Seventy Days were left in Amnesty Scheme for Residency law violates to leave the country without any kind of huroob or fines. According to MOL the results of campaign are really positive till now. 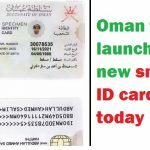 This Scheme is helpful for large number of expat living or working in Kingdom illegally as they can leave without giving fingerprint at immigration which gives them permission to come again in Kingdom any late time legally. 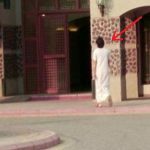 The current statistic show that almost 1 million expatriates expected to leave kingdom. “Nation without Violators” Campaign started on March 20 for 3 months and almost 19 government org are participating in this event. MOI spokesman Maj. Gen Mansoor Al-Turki said that different government agencies working hard together to give success to this campaign. 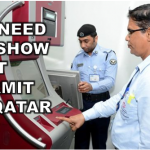 This campaign will give safe exit to 1 million illegal workers and expats from Saudi Arabia. 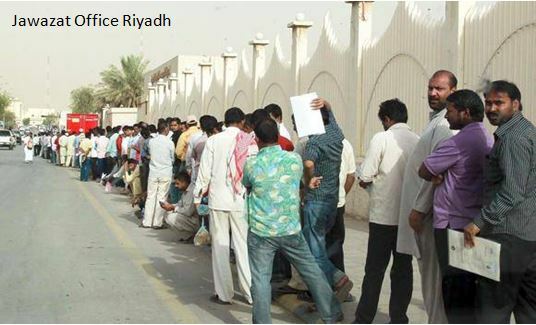 A long queue of expatriate workers waiting their turn to clear legal status in front of a Jawazat office in Riyadh.